This feature will re-format a DIP for import into Archivists' Toolkit. At the Upload DIP micro-service, the user selects "Upload to Archivists' Toolkit"
The DIP is placed in /uploadedDIPs/AT/. For examples and discussion of what the user interface described below might look like, see http://ux.stackexchange.com/questions/25715/how-can-i-allow-users-to-easily-pair-items-from-long-lists. 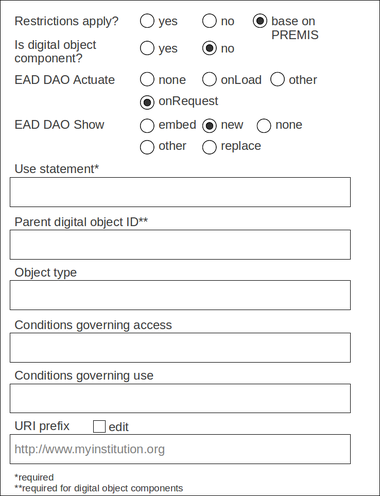 The user is presented with a menu to select the Archivists’ Toolkit collection to which digital access objects should be added. Archivematica returns all components of that collection at every level, including the collection level. Enough data needs to be returned to the user to distinguish between components. At minimum, this would likely include the title, date, level (ie series, subseries, file) and persistent ID of the component. The user is presented with a screen that allows them to match components with digital access objects. The user should be presented with the information specified above for each component. For digital objects, the user should be presented with the filename of the digital access objects, preferably without the Archivematica UUIDs since these are appended to the beginning of filenames and would confuse the user and/or inhibit sorting. The user should be able to match components at any level with a digital access object. A sorting mechanism should be available. Once a match is made, the matched objects should move to another part of the screen or be grayed out. Once all desired matches have been made, a review/confirmation screen should be presented to the user, allowing them to confirm that they have made the correct matches. This could be accomplished by a different view of the matches made, or by export or print functionality. On confirmation, Archivematica writes data directly to the AT database. In all cases, Archivematica will add a digital object link and record, not replace or modify an existing link or record. 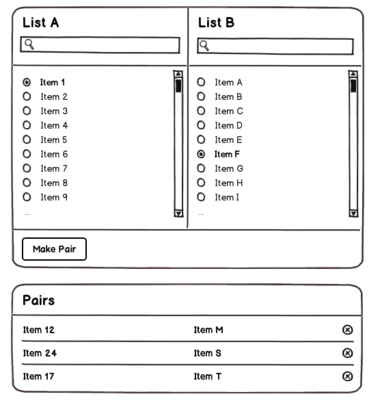 The user can then review and approve the pairs. If the user deletes a digital object from this screen, the digital object re-appears in the search and pairing template and can be re-matched.